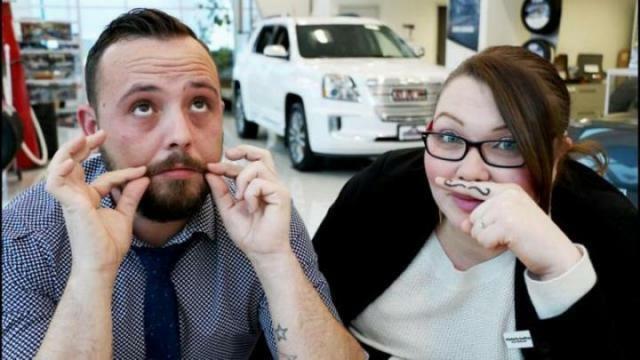 It's mustache November with Tyler Portelance and Kimberly Godfrey on 'This Week' with the Northern View. Tyler Portelance and Kimberly Godfrey of MacCarthyGM read through the news headlines in the Northern View podcast “This Week.” In this episode, the hosts meet with the show’s producer, Shannon Lough, about her investigative piece on the World War II veteran who has yet to be buried. Then, Rupert Rampage goalie Brett Roth talks about the recent loss against the Terrace River Kings and what the team is working on. North Pacific Cannery conservation manager Steve Milum then speaks about the restoration work on the historic site and what the plans are for the 150th anniversary.